In a recent opinion piece for CNN, Christopher Hill, the former US ambassador to Iraq who served there from April 2009 to August 2010, discusses the legacy of the Iraq War in light of the recent US decision to not seek a continued military presence beyond 2011. Among his key points is that it would be wrong to plunge into a discussion about “who lost Iraq”. In defence of his position, Hill makes several arguments. Both of these arguments by Hill can easily be refuted. Firstly, the war was in fact winnable in the sense that a potential for peaceful sectarian coexistence in Iraq did exist. Hill’s strictures on Iraq’s sectarian history are complete nonsense. In the first place, Shiism did not really emerge as a fully-fledged sectarian movement until the tenth century, prior to which point the struggle had been primarily dynastic. And at any rate, sectarian relations in Iraq during Ottomans and monarchical days were largely peaceful if not entirely frictionless. Historically, far less blood has been spilt in sectarian conflict in Iraq than in Europe since the Reformation or indeed in the United States during the Civil War. Secondly, regarding the Iraqi nationalism of Nuri al-Maliki, Hill fails to differentiate between the two different faces of Maliki. 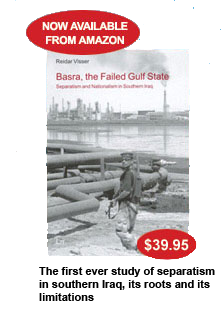 There is the nationalist face focused on the establishment of a strong centralised state in all of Iraq except Kurdistan, which came to the fore during the local elections in January 2009 and persisted for some months as Maliki explored potential alliances with Sunni leaders like Ahmad Abu Risha and Usama al-Nujayfi while at the same time refusing to have anything to do with fellow Shiites who wanted him to join their sectarian coalition. But there is also the second Maliki, who jumped on the de-Baathification bandwagon created by other Shiite parties before the March 2010 parliamentary elections and went on to win his second premiership on a purely sectarian platform with the Sadrists in a kingmaker role. By so doing, Maliki became the front figure of a political project that basically gives Iran all it wants in Iraq, i.e. a politics in which sectarian loyalties shape the agenda and the debate. Crucially, it is the distinction between the two Malikis – and Hill’s failure to detect that distinction – that can shed light on how his own ambassadorship to Iraq affected the big questions about the prevalence of sectarianism and Iranian influences in the country. When Hill arrived in Baghdad in April 2009, Maliki was still trying to act in a nationalist manner and did his utmost to marginalise fellow Shiites such as the Islamic Supreme Council of Iraq (ISCI) in several governorates. But later that spring, ISCI travelled to Iran, regrouped and joined the Sadrists in an attempt to bring Maliki back to the pan-Shiite fold. What Hill and the United States failed to do in this key period was to help Maliki find Sunni partners that could help him consolidate an anti-Iranian front. For example, the United States failed to use their leverage with the Saudis to prevent them from intervening against Maliki in his various alliance-building projects. Instead, it was widely reported that Saudi machinations in the summer of 2009 led to the abortion of a promising alliance bid involving Maliki, Abu Risha and Jawad al-Bulani, the secular interior minister. Similarly, during the autumn, US moves to keep the contentious Kirkuk issue off the agenda during the debate on the elections law meant that another promising avenue for rapprochement between Maliki and the Sunnis was closed off. Maliki, Sunnis and secularists tend to have identical views on Kirkuk, but US concerns about Kurdish reactions plus a desire to adhere to timelines at any cost had the side effect of strengthening sectarian fronts at a time when rapprochement was needed. Ambassador Hill himself played key roles with respect to the two final straws in the saga about sectarian repolarisation in Iraq. The first had to do with de-Baathification, which the other Shiites had originally devised as an anti-Maliki weapon designed to force him into a more sectarian corner. When Hill and other players in the international community failed to come out strongly against the ad hoc de-Baathification process during the run-up to the March 2010 parliamentary elections, Maliki, too, ended up as a de-Baathification agitator. Second, during the contentious debate about the premiership for the next government during the summer of 2010, Hill insisted both on Maliki as premier as well as an inclusive government in which the Kurds would also participate. Given the constitutional framework in Iraq, that pretty much dictated the inclusion of the Sadrists and the formation of a broad sectarian Shiite front, since Maliki could not have won the premiership in any other way except one. And the only alternative that could have produced a Maliki premiership without the Sadrists – a smaller coalition of Maliki’s State of Law and the secular Iraqiyya - never gained any significant traction in US circles during Hill’s tenure. Realistically speaking, could the new US ambassador to Iraq, James Jeffrey, have reversed any of Hill’s mistakes when he arrived in Baghdad in the autumn of 2010? Probably not. The idea of Maliki as the next premier was already deeply rooted in US policy-making circles, as was the convoluted and stillborn idea of placating his secular rival Ayad Allawi with the presidency of an unconstitutional strategic policy council. In early summer 2011, Jeffrey did have the chance to come out loud against all that nonsense when the implementation of the so-called Arbil framework that had delivered the second Maliki government in November 2010 seemed in doubt. He could for example instead have embraced the idea of a more compact government of State of Law, Iraqiyya and the Kurds that would have been more likely to seek an extension of the SOFA with the Americans. At that time, however, the sectarian polarisation set in motion again during Hill’s tenure was already beginning to make its mark in a serious way, and even if Jeffrey had considered this idea, it would have been an uphill struggle. Chances are Jeffrey didn’t even consider it. 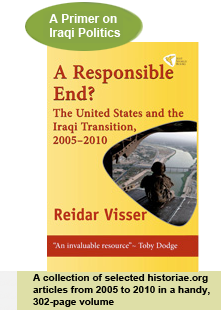 The main problem in US policy-making for Iraq has been how they conceptualise the country and its people. 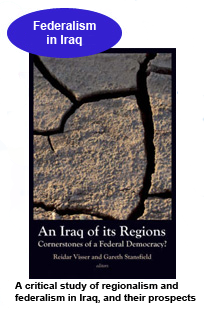 Instead of thinking of the country as a union of Arabs and Kurds, as was usual among Iraqi oppositionists in the 1990s, Americans have tended to reify a tripartite paradigm in which Sunnis, Shiites and Kurds are seen as monolithic and enduring players. That is a paradigm that leaves pretty scant space for secularism and creates precisely the ethno-sectarian framework for Iraqi politics that Iran prefers. It should be pretty obvious why Hill scoffs at the notion of the Americans having “clumsily re-energised” sectarian tension and why he so strenuously is seeking to pre-empt any discussion of the dangerously heretic question about “who lost Iraq”.